½ -2/3C Lebanese or Seedless cucumber, thinly sliced. Cook bacon pieces slowly so the fat cooks out and they turn a bit crispy. 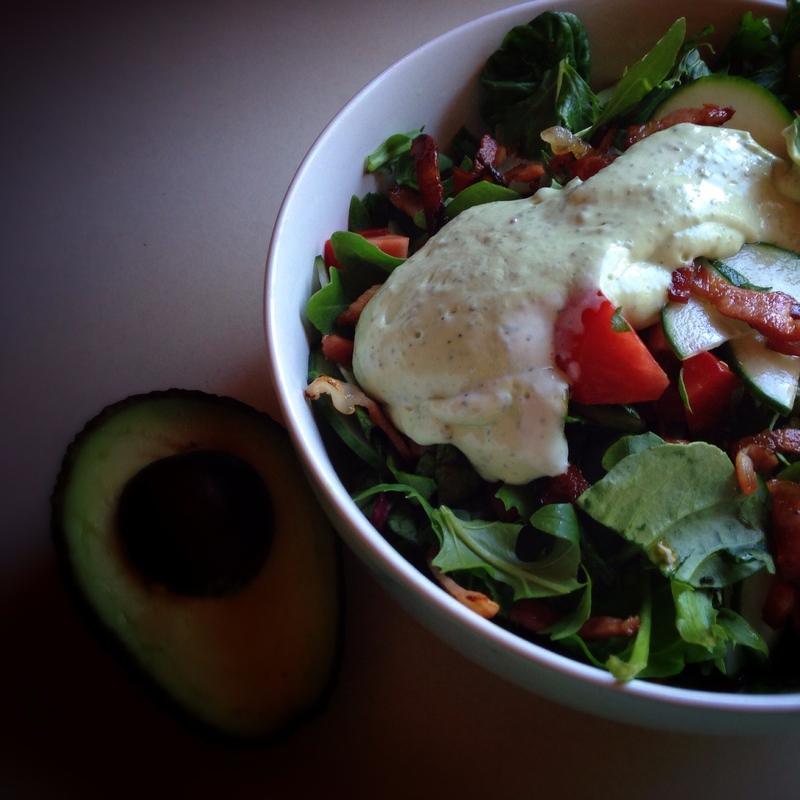 While the bacon is cooking, make the dressing. Place yogurt and basil leaves into a hand held stick blender bowl and whiz until the basil is in tiny green fragments throughout. Add remaining ingredients and whiz them to combine to a glorious, fresh green dressing. This will be enough for two meal size servings.